1âŽ°First / Last NameâŽ°â€™New Clientsâ€™ 2âŽ°Desired Services ðŸ“© ðŸ•ŠList specific services by name? 3âŽ°Date & TimeâŽ°1st choice 4âŽ°Date & TimeâŽ°2nd choice 5âŽ°Gel removal? MiCumbia applied? ðŸ’Œ Seating is limited & all texted appointment requests are replied to in the order they are received. 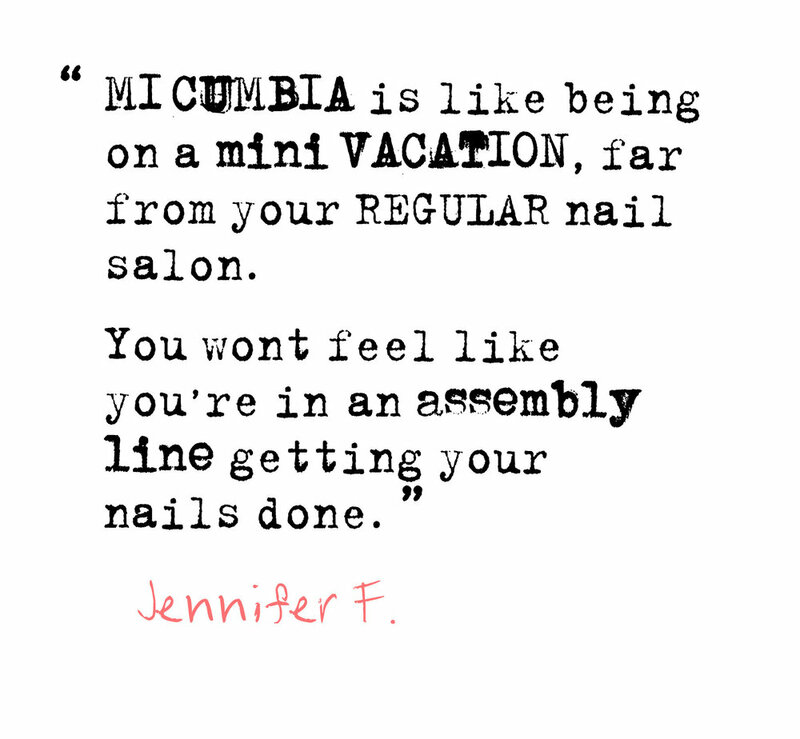 For 11+ years, MI CUMBIA, 'The Nation's First Organic Nail Spa has been recognized as a industry pioneer. Our team of professional manicuristaâ€™s are honored and humbled with over +400 '5-Star' Reviews on Google, Yelp, and Facebook combined. 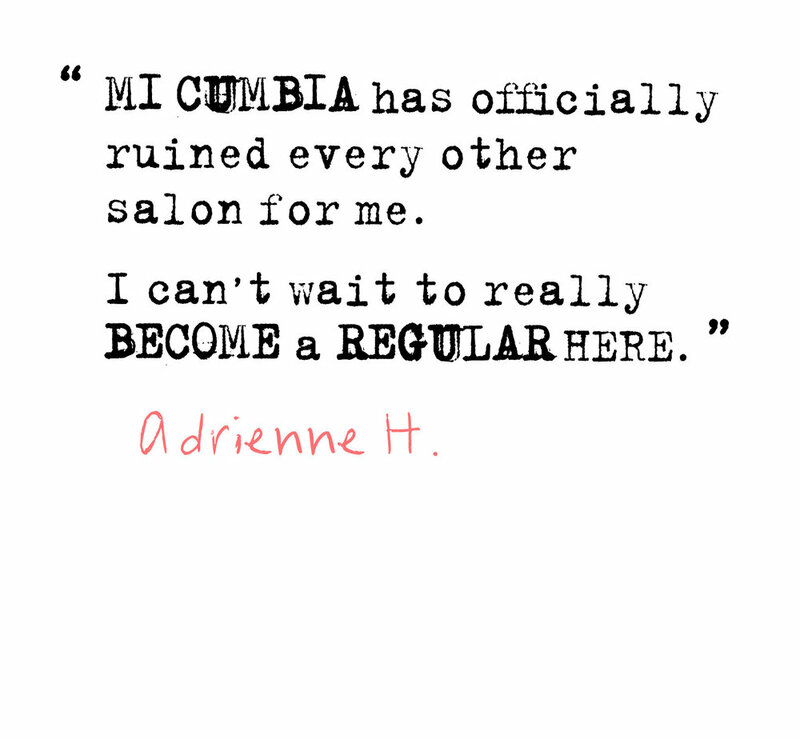 ðŸ’Œ MI CUMBIA reinvents the nail salon experience with the highest standards for pure, organic nail treatments in the nation. 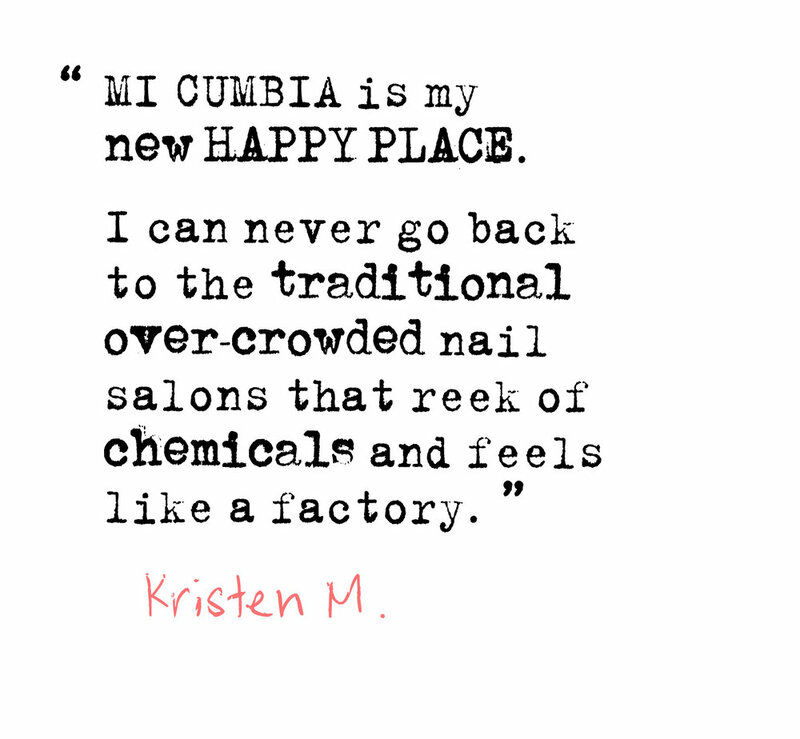 Located on a quiet street near beautiful Rittenhouse Square, MI CUMBIA is an organic oasis in what has traditionally been one of the most dangerously toxic sectors of the beauty industry. 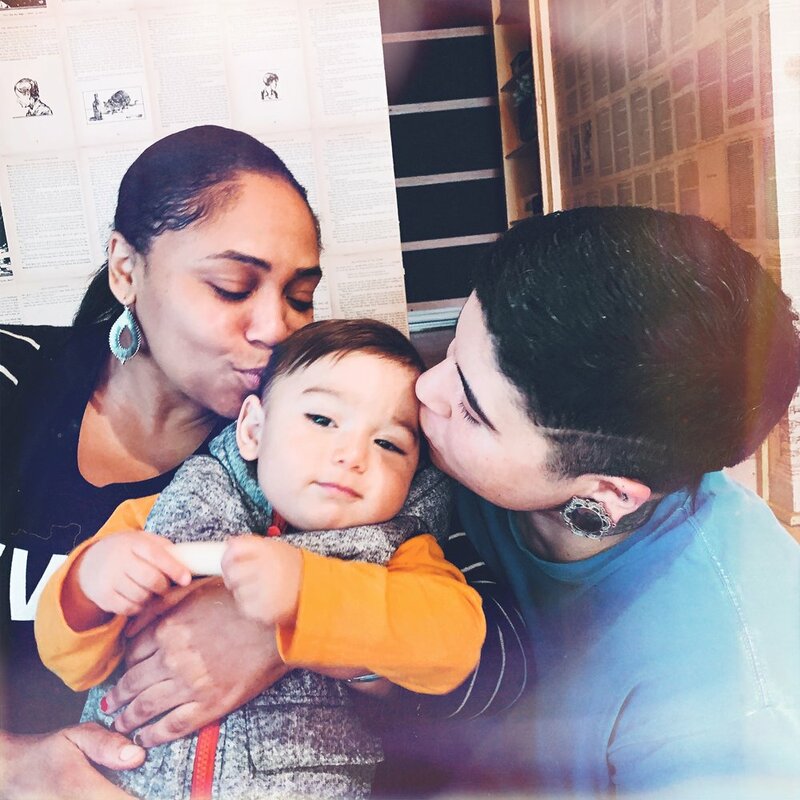 From their use of only non-toxic nail polishes, to their fresh, nature-inspired treatments and Authentic Brazilain hair removal, MI CUMBIA owners Karina Restrepo Mitchell and Hustino Mitchell have made a commitment to safe, organic beauty that sets a new precedent for nail spas around the nation. 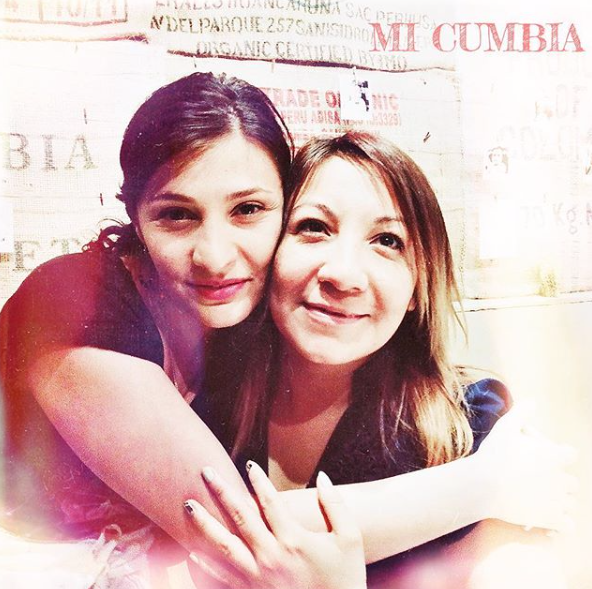 ðŸ’Œ Entering MI CUMBIA Organica, youâ€™ll notice that the calming scents of essential oils replace the harsh polish fumes that saturate conventional nail salons. This air quality is possible with the spaâ€™s unique, non-toxic only policy for nail polish. 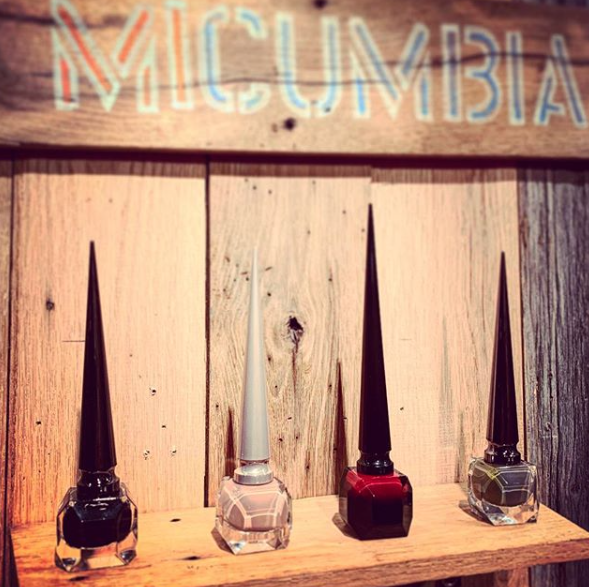 ðŸ’Œ MI CUMBIAâ€™s polish application technique adds unrivaled durability to polishes, extending the life of these non-toxic formulas. The spa also offers leading authentic Brazilian / Colombian hair removal.